He's a highly trained economist & former MIT professor. He's a former Vice-Chairman of Citigroup Inc. He's the late PM Ariel Sharon's appointment to lead the Bank of Israel. 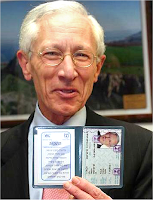 He's a naturalized Israeli-American (link) born in Northern Rhodesia, who's been a successful advocate for boosted US aid & subsidies to Israel. He was Larry Summers' economics professor (who first gave Summers work, but now supplants). 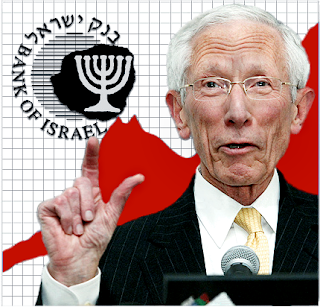 He's the dude Obama supports to be Vice-Chairman of the Federal Reserve, the US central banking system. He'll soon supposedly be working for the American people in a vitally critical financial & policy job, "in pursuit of maximum employment, stable prices, and moderate long-term interest rates." He's in the Trilateral Commission & Bilderberg Group. He's an exceptionally intelligent & motivated global leader. He's an extremely powerful unelected official. He'll likely be assertive in channeling business away from Iran (link), but does he know - or care - much about a typical American? 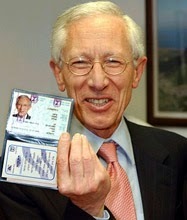 Some white-haired smiley guy we're told everyone likes, who'll control our money & regulate our lives.